MANILA, Philippines — There’s a 19-year-old Ifugao fighter who could be the next Manny Pacquiao and WBO No. 10 bantamweight Carl Jammes Martin will try to live up to the billing when he makes his Metro Manila debut against Thai veteran Petchchorhae Kokiet-Gym at the SM City North EDSA Skydome on Feb. 16. 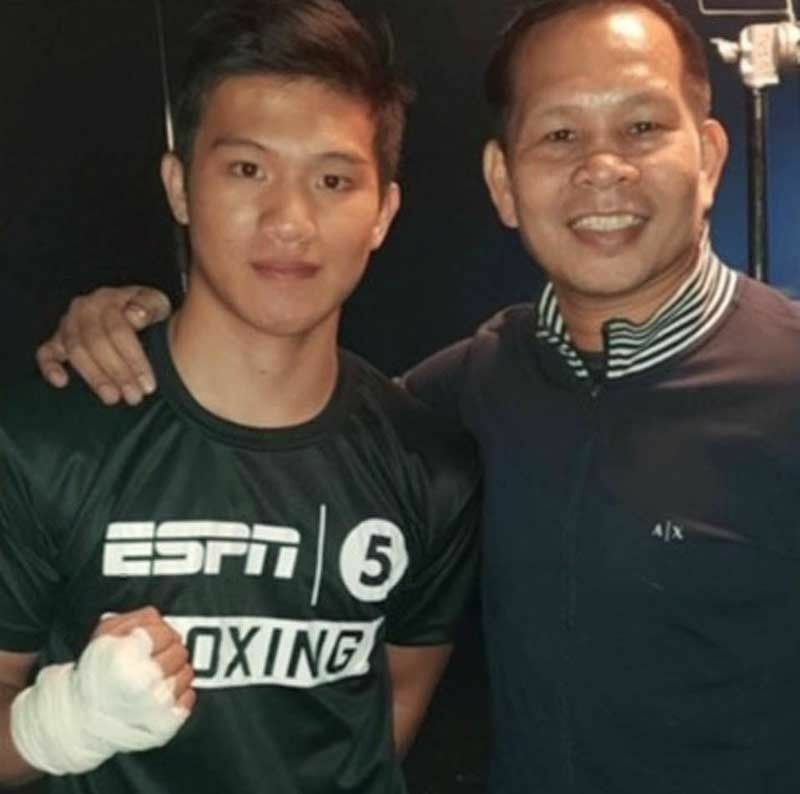 Former two-time world champion Gerry Peñalosa is giving Martin a push in his career after his father Abel, a retired Army private first class, asked for help. Peñalosa is promoting the card on Saturday. It was Martin’s older brother Abel, Jr. who sought out Peñalosa last year, requesting for boxing equipment after Typhoon Rosita devastated the gym where he trains in Lagawe. Peñalosa donated three pairs of boxing shoes and two heavy bags. That started a relationship between Peñalosa and Martin. “The kid has charisma,” said Peñalosa. “He’s not hard to talk to. Carl is explosive and left-handed. He reminds me of Manny and has tremendous power. What he lacks is experience. We won’t rush him. We’ll test him and bring him up slowly. By next year, he could be ready for a world title shot.” Peñalosa recently introduced Martin to Ever Bilena CEO Dioceldo Sy who has included the fighter in the stable of athletes he is supporting. Other Ever Bilena athletes are swimmer Jasmine Alkhaldi and tennis prodigy Manolo Angara. Martin said he grew up idolizing Pacquiao, Peñalosa and Z Gorres. Boxing has been in his blood since he was a kid and although Ifugao is known to produce MMA fighters, the ring – not the octagon – is where he wants to make a name for himself. His cousin Stephen Loman is an MMA fighter and ONE bantamweight champion Kevin Belingon is from the next town.